homeless | Fidel's Wandering Eye. Everyday on the news we hear about millions of people who are homeless and starving in cities and countries other than our own. We hear about places we can drop off used clothing items, addresses we can mail money orders and websites we can donate to. We hear about hungry children, broken homes and abandoned family members. But how can we help any of those people in any of those cities in any of those countries…when we can’t even help ourselves? Filed under Blog Quickies, Hear Me Roar, Really America? The United States of America. I love this country, I love another country as well because I grew up there and consider it home, but having lived here the last 20 years or so makes makes me as American as I am Italian (as does the combination of my American father and my Italian mother). 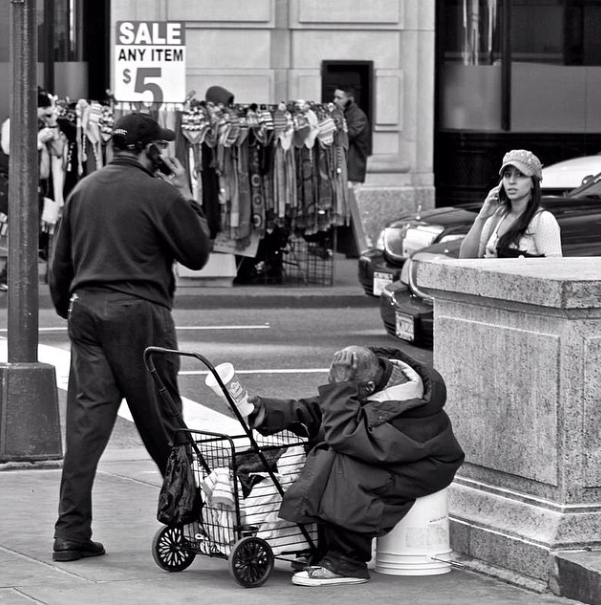 One thing that I’ve seen, in the USA as well as Italy, is the ever-increasing number of homeless on the streets. I feel a certain pain inside my soul when I see someone in those conditions, not because I don’t want to help, but because I can’t help…at least, not by myself. Although this is a beautiful country we live in, we can’t seem to find a way to take care of our own citizens…let alone anyone else’s. There has to be a way to come together as a whole. There has to be a way to provide food, shelter and decent living conditions to the civilians of this great nation…especially to its veterans, who have fought tooth and nail for it. I know that it’s possible. I know because I have been around the world, and I’ve seen the good that mankind (and womankind) can do. I know because while in Union Square here in NYC one day, I saw a man approach another man. They didn’t know one another as far as I could tell. They had only the shirts on their backs and the bags in their hands. But when one asked another if he could have a cigarette, a cigarette is what he got…no questions asked. 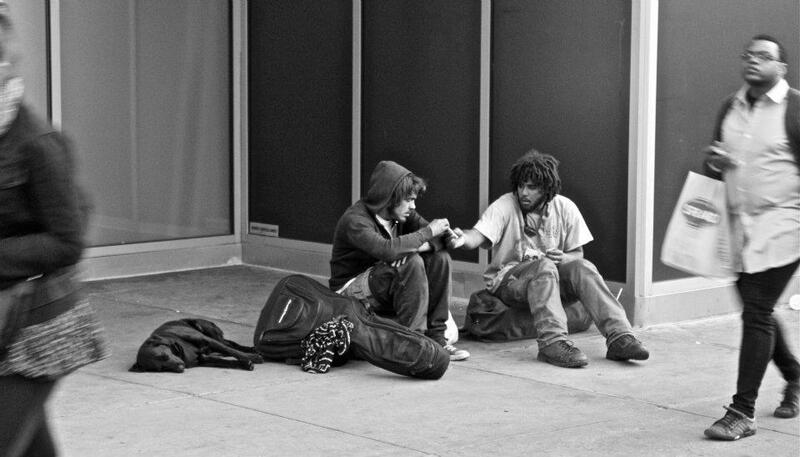 If two people who have nothing can give to each other, why can’t we all..? 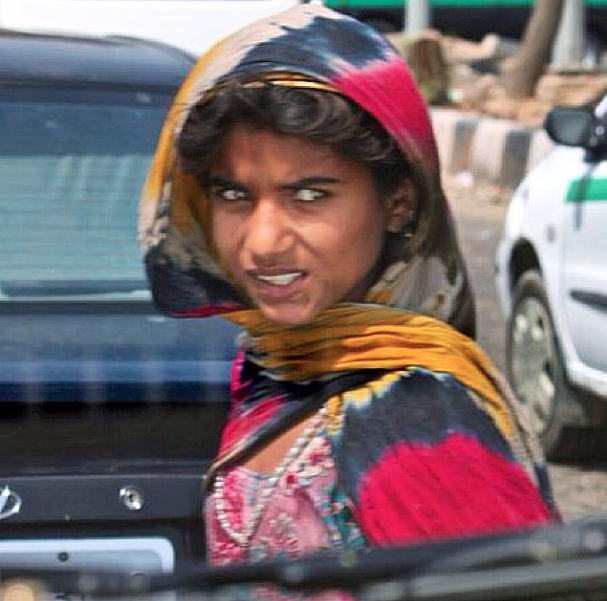 I shot this from the backseat of a taxi while on assignment in Delhi, India. This little girl was weaving in and out of the traffic that had stopped for a red light…she was begging for money and food. Not visible in this photo, her legs were dirty and her feet were shoeless. I remember thinking to myself how in the United States, a young person with her look might model, or do television commercials. But in her country, in her city, she was just another street kid with no hope for a real future.